Mosquito Control Alpharetta, GA | Bug-Off Exterminators, Inc.
Bug-Off Exterminators, Inc., has been in business for over 30 years. Our employees are licensed with the Georgia Department of Agriculture and undergo continual training in inspection and treatment methods. We've worked in homes of all sizes as well as in apartments, hotels, government buildings, hospitals, and warehouses. You can trust us for expert mosquito control. We apply a residual insecticide to all the areas where mosquitoes are breeding, and if we find larvae, we'll use a larvicide. The spray remains effective for several weeks. Since mosquitoes love to inhabit weeds, bushes, and tall grasses, we spray these areas down thoroughly in the effort to prevent mosquito migrations. To help with the treatment a property owner can cut down any unnecessary vegetation. Mosquitoes love to swarm in humid environments and breed in areas of standing water, such as ponds and potted plants. 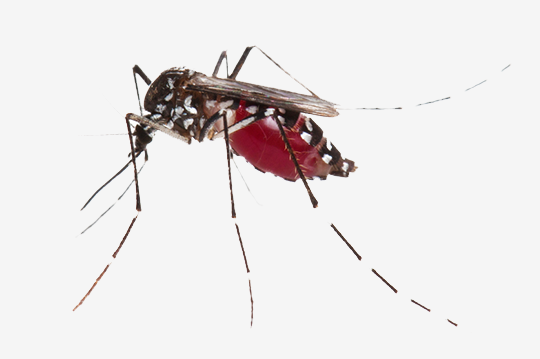 So, if this summer you notice more mosquitoes than usual around your property, you'll want to call up Bug-Off Exterminators, and have the issue addressed. The benefits can be long-lasting: we may be able to prevent future infestations, and you'll learn many prevention methods yourself that you can use if you move to a new home. Failure to address an infestation can lead to larger swarms and more annoyances, which can hinder you from enjoying evenings in your backyard. This is what a service visit to your home or business in Alpharetta, Georgia will be like. One of our technicians will come over to identify all your mosquito breeding grounds, which can include shade trees, shrubbery, and flowerbeds. The technician will then develop a mosquito program for you to approve of. Having monthly service is important to replace the active ingredient in the traps as well as reapply the misting spray. 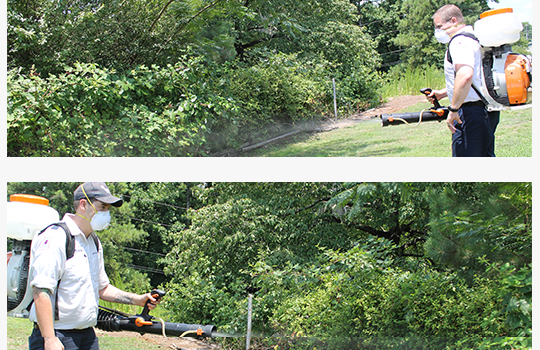 Our technicians use a leaf blower backpack sprayer, and spray insecticides around the perimeter of your property and this will not harm the plants. We'll inspect rainwater collection systems like rain barrels for larvae and then place larvicides to exterminate them before they grow into mature mosquitoes. We also address problems at the egg stage by removing all standing water. We'll recommend that you prevent water from collecting in any play pools and that you clean out birdbaths, as these can harbor eggs even through the dry season. Give Bug-Off Exterminators, Inc. a call and our technicians will make your yard a place where you can relax and enjoy being outside.